You can't pour from an empty cup. It begins with you. 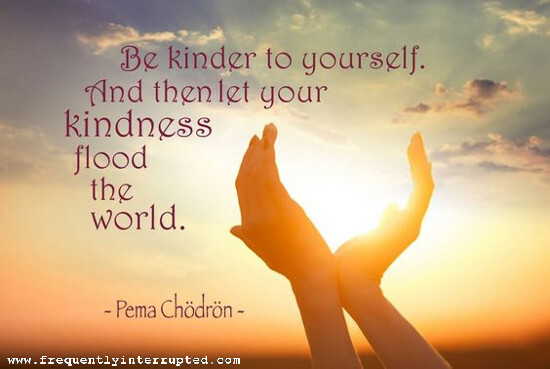 Be so kind to yourself that the kindness can't help but overflow to those around you. Side note: if it doesn't result in kindness toward others, you aren't really being kind to yourself either. We have other words for that, and they're not so healthy.